Quality is an important factor when producing goods and services. Each organization sets its own quality standards based on customers’ demands and needs. If we look at quality from the customers’ perspective we will want to have products that we can rely on when using them, otherwise if the product is defective we might want to stop using it. On the manufacturers’ perspective if the customers are unsure of quality on their products, it is their job to make the necessary adjustments to make the product attractive to the customer again. When the situation is created by defect on fabrication it can mean big amount of money losses for the manufacturer, therefore it should work on fixing the defects as soon as these are detected in order to avoid bigger losses and not get their reputation hurt. An example of a company restoring confidence in its product is Boeing and the battery problems that its passenger jet 787s has been facing since January and that it cost them to stop flying them. According to an article in the New York Times by Christopher Drew and Jad Mouawad, the Federal Aviation Administration approved in April the company’s plan to fix the batteries of 50 jets that where delivered at that time. The authors explain that the lithium-ion batteries problems were detected when two of them had overheated in two different jets. As soon as the problem was detected its engineers worked on finding the causes of the defective batteries and the best approach to fix it. Collection of data was necessary to support the changes and come up with a plan. Luckily, the 800 orders that were already planned for the plane were not affected, the authors explain, since it promised a 20 percent fuel savings. After collecting data and analyzing it, the company decided to send several technicians around the world to fix the batteries and install the new system which includes better insulation and other features to prevent batteries incidents (Drew and Mouawad). The article goes on by explaining that even after this efforts by the company to fix the problem, Japanese airlines have asked for more assurance that the incidents will not be likely to happen again or at least detected by introducing monitoring systems for the batteries that would send information about the batteries conditions and replacement of them every certain time period. All this efforts are done in order to recover the customer’s confidence. We can see in this example how a defect might represents serious consequences in the company’s reputation and generate monetary losses. This illustrates the importance of having systems that monitor the quality and processes on production and if problems are presented look for the causes and fix them as soon as possible. Do you think Boeing’s approach to solve the problem was appropriate? Should the company provide monitoring systems that Japanese airlines demand or do you think is enough just by replacing the batteries and the insulation system implemented? The sports apparel powerhouse Nike, Inc. has recently released big changes in the news by announcing a partnership with Swiss company Bluesign Technologies. The partnership will accelerate the supply of sustainable materials and chemistries for use in all Nike products. What does that mean exactly? Well, it means Nike is going green – they are taking steps to make the production of their textiles more sustainable for their workers, customers, and environment. Though I bet not many of you have heard of Bluesign Technologies, their company is quite interesting. They have also partnered with The North Face on a journey to sustainability. The link provided here (http://www.youtube.com/watch?v=wkOQVQdJ_Lo) is a short video which details great information regarding Bluesign; how they work, the benefit of using their technologies, and how it can better the environment. Basically, Bluesign is an input management system. They know everything that th ey put into their production and calculate the effect of a chemical used in a textile regarding their air emissions, water emissions, and how it affects the workplace so that they know the outcome a chemical has before even starting production. Nike is utilizing two of Bluesign Technologies that will provide Nike’s supply chain with access to roll out the tools across Nike’s global supply chain. With one of the technologies, Bluefinder, a supplier can access pre-screened sustainable textile preparations including dye systems, detergents, and other chemicals used in the manufacturing process. The benefit of this tool is that it helps suppliers manage restricted substances and increase water/energy efficiency. The second tool Nike will utilize is Blueguide which gives Nike access to 30,000+ materials produced using chemicals from the Bluefinder at facilities that have undergone rigorous assessment. 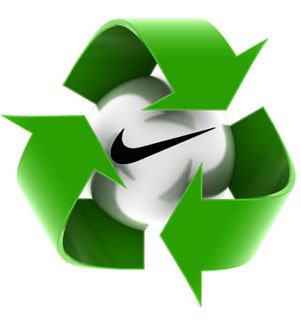 Nike is pursuing to enhance their sustainable material strategy. They are looking to put a set of positive chemistries in the hands of material suppliers by preventing the use of hazardous chemicals. With Nike using these technologies, they can change production with many manufacturers by having them use technologies in order to produce more sustainable products and increase efficiencies. I think this is a great partnership for many reasons. First, as we discussed in class, sustainability is win-win and has a multifold positive impact. Furthermore, without these technologies Nike’s supply chain had to go through individual factory assessments. Now, their supply chain will run more efficiently with more innovative products. With the integration of Bluesign Technologies, materials will be made in a manner which is sustainable between products, the environment, and the manufacturing factory. The sustainability advantage is not only effective in Nike’s products, but in improving their supply chain by making production more innovative, stable, and of higher quality. This aspect of their operations management is greatly going to improve Nike to being not only a sports powerhouse, but a sustainable one as well. How beneficial do you think the use of Bluesign Technologies will be to Nike? Do you look more favorably on a company that takes efforts to reduce their carbon footprint and provide more sustainable products- why/not? Anyone who has a Twitter knows that it is not out of the ordinary for users to tweet about a certain television show or sports program as they are watching it. While Twitter users may think this is just them stating their opinions to the Twittersphere, these tweets are actually giving the social networking site an opportunity to capitalize on advertising. Last year, Twitter partnered with ESPN and Ford to expand their advertisement section. The partnership with ESPN and Ford allowed for replays from football games to be promoted to people who showed interest in sports. The executives at Twitter saw this worked in their favor, and wanted to continue improving their advertising process. They knew their advertising results would not change unless they implemented another change into their process. They needed to stretch their goals beyond where they were currently standing. Twitter executives are taking the steps towards improvement by capitalizing on all activity users are sending out during programs. A new product will send ads to people who are commenting about multiple programs. In other words, brands will now be able to match advertisements with tweets sent out by viewers. Do you think this move will be beneficial to Twitter? Do you foresee people sharing these clips and getting advertisements out there? After Daimler’s CEO Dieter Zetsche sat in the Mercedes S-Class, he realized it would not recline as far as a seat in an airplane did, and therefore not give the same amount of comfort that the wealthy individuals that would buy this car are accustomed to. This was especially an issue in China where the car-owner sits in the back a lot of the time as they have chauffeurs. Zetsche had his designers recline to 43.5 degrees to make it more comfortable and luxurious and therefore more appealing to the wealthy Chinese. When the backseat reclines, the front seat automatically moves forward a bit to give more legroom, and the seats even have a massage feature for ultimate comfort. To be able to realize that this is necessary is very impressive forecasting while also looking at the past sales and realizing that something is wrong. For the CEO to go out and try the features of the Mercedes S-Class and help come up with solutions shows the dedication he has to the company, and shows good management as well. It is rare that you hear that a chief executive officer figures out the issue a company has and makes it a point to fix it. in realizing that innovating and improving this car is important to the bottom line of making more money, as it is the most profitable. China is a huge market as the sales of luxury cars are projected to go up 12 percent annually up through the year 2020. Clearly the operations management of Mercedes is of highest quality, because being able to put together all of the factors I have talked about and realizing that perfecting the S-Class is essential is rather impressive. A Mercedes S-Class can cost as much as 486,000 dollars in China due to very heavy import levies. Due to the halo effect, Mercedes is able to generally charge more for its other cars as well. Mercedes sold about 20,000 more of their luxury cars than BMW and a little over 40,000 more than Audi’s luxury car, so clearly Mercedes is the best at perceiving an image of luxury and highest of quality. With this fact in mind, Mercedes’ management needs to realize that they need to improve the sales of their other cars to become the most profitable company in overall again in comparison to their biggest rivals of BMW and Audi. What do you think Mercedes can do to improve their sales and become the most profitable company again? Are you impressed by the improved S-Class moves? The red line trains are going to be shut down south of Roosevelt! The red line is one of the main train lines in Chicago. The red line will be running on Green Line tracks for a couple months or until the construction has been finished. What will we do? Well, the Chicago Transit Authority (CTA) has finally upgraded the bus/train tracker because of this major shutdown. CTA riders can now know the duration of their trip from where they are now to their destination. People can now search for stops that are near them. This will help if you are lost. Once you get on a CTA train, it is almost impossible to get lost once you get back to the loop or somewhere you are familiar with. You can now type in your stop instead of having to scroll down the long list that was available. I remember when I was trying to look for the Adams and Wabash stop for the orange line and I was looking under the A’s, and it was not there. I had to scroll down the list about three times just to spot it. People can now watch the trains move from their stop on their desktops when they are tracking their train to see where the train is at at that current time. Of course, the customers can still know when the train or bus will be coming to their stops once they check. CTA tried to make it more convenient for their customers.To be honest, I do not think the upgrade for watching the trains on the desktop was really necessary. That idea sounds really cool, but if I want to track the bus or train, I just really want to know what time it will get to the stop so I can start walking to the train station and get there in time. I really like the upgrade for knowing the whole duration time for a certain trip. I just wonder if this duration time includes transfer time. For example, I want to go to O’hare airport. I have to take the orange line and transfer to the blue line, will this tracker help me determine my overall duration for this trip including my transfer time to the blue line? Questions: If you do use the CTA bus tracker, what other upgrades would you like to have made available to you? Do you find the upgrade in the CTA bus/train tracker be more useful and convenient? Are there any of the new upgrades that you found to be unnecessary? Bennett said “college is worth it if you get into a top tier university like Stanford, or study an in-demand field like nuclear engineering at even a lower tier school.” Not everyone can afford to go to Stanford. I somewhat agree with Bennett’s point of view, since the top companies only retain talent from the ivy league schools. Some organizations will not consider inviting you for an interview, if you didn’t go to a top university. I believe everyone deserves a chance, and school should not be the only factor that impacts your future. However, we live in a society where the “brand name” matters the most. 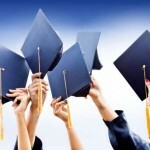 Universities compete with each other by establishing a good reputation. In result, students pick the schools that will guarantee a job in the future. The vicious circle closes. 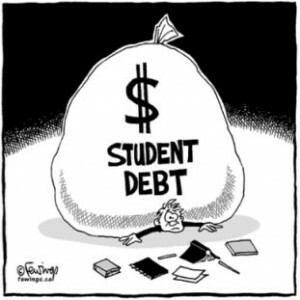 In order to create some equilibrium, universities that are less expensive should implement a breakthrough improvement. As we learned in class, innovation and creative thinking is crucial. Also, such schools should use the benchmarking method. 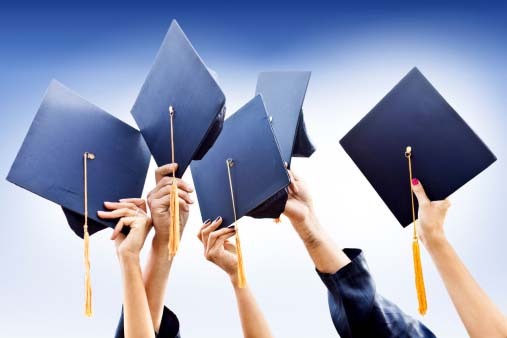 By researching the industry and following the footsteps of the successful colleges it will lead to a superior performance. It will give them a chance to become more popular, and hopefully, a positive return on investment ratio for the students. I think more students are willing to go to a more affordable college, where the future outcome is bright. Unfortunately, this is not the case. As I mentioned before, the more you pay for your tuition the higher chances of getting a job. The question remains – is this fair? We have learned in our Management 301 class that every product is subject to a life cycle. In its early stage, called introduction, the product is designed, developed with attention to quality, short production and limited models. The next stage is growth, where forecasting is critical, the product goes through competitive improvements, and distribution is enhanced. Then the product goes through maturity, in which standardization takes place. Finally, the product declines, where there is a lower product cost, differentiation decreases and capacity is reduced. There are several products in the market that we can see going through the life cycle, but I have found an interesting article that makes reference to good examples of products on growth stage. They are the OrigAudio products, such as cardboard speakers, headphones and golf-ball-size amplifiers. According to the article in the Chicago Tribune by Ronald White, these OrigAudio products started being developed by Chicago entrepreneurs Jason Lucash and Mike Azymczk. These two marketers got their products in the market and successfully accomplished to be listed as one of the best inventions in 2009 by Times Magazine, just after a short period of time of their introduction (White, Ronald). During the introduction stage the process design and development were critical, as well as they had short production run. The article mentions that since they are marketers, they don’t know about engineering, so they have been looking for people that can complete their team by helping them to bring their innovating ideas to life. Now, in the growth stage the entrepreneurs have been working on enhancing distribution. One of their most important decisions was moving to California. According to the article, by moving closer to the Pacific, great benefits were acquired by OrigAudio such as; decrease on transportation costs of inputs from China. But mostly, because the region with core surf and skate crowd represents a good market for them, to increase sales. In order to accomplish their goals they have been and will continue hiring more employees. Also they are working in more innovating designs for their speakers, headphones and amplifiers (White, Ronald). Finally, they are forecasting to have $5 million on sales this year, a totally different amount than in 2010, when they had just $700,000 in revenue (White, Ronald). But it makes sense since they had $3.5 million revenue in 2012 . The Fold and Play speakers, which looks like a Chinese restaurant, take out box. 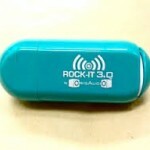 The Rock-It, which according to the article, includes a piece of the size of a marshmallow peep candy. It looks like these entrepreneurs from Chicago are doing a good job in the growing stage of their products, since they are working on the competitive improvements and options. Do you think they will be able to stretch their products’ life cycle enough for OrigAudio to earn and keep a good place in the market? What would be your recommendations for these entrepreneurs to maintain their business growing? When you think of Chicago, some of the thoughts that come to mind are: great food, tourist sites, and sports. 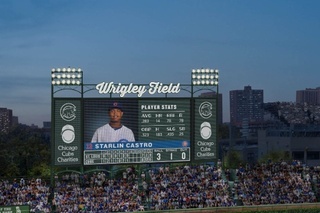 Whether you are visiting or living in the city, nearly everyone loves to go to the Chicago Cubs games, unless you are a Sox’s fan, but even then, the charm of Wrigley Field and the surrounding area is something undeniable. So when Tom Ricketts announced the possibility of moving the Cubs outside of Wrigleyville, you better believe he received backlash. The degree of disapproval of the move came from die-heart fans, rooftop owners, and other local businesses. When I first heard that Wrigley Field might be moving, I was heartbroken. All I could think about was the memories my family and I had from going to the games and making a day out of traveling to the city. Even more than contemplating the move, Ricketts is planning a $500 million renovation that will impact the city, fans, and surrounding businesses as a whole. At first thought, some fans might say to leave Wrigley the way it is. The old nature and lack of high-technology is what makes the field so charming and historic. However, by looking at this situation through Theo Epstein’s mindset, President of Baseball Operations, I have come to see the more important managerial implications that come along with the $500 million renovation. Decisions of forecasting, location, and organizing are all factors in the Wrigley renovation. Theo has to think of the costs/revenues that will be generated by these renovations and compare that to how the location of each addition will impact the field and businesses that surround the ballpark. For those of you who are not familiar with the renovation, the $500 million plan requires no city or country money. It will provide a video board in left field that will be 6,000 square feet, and a secondary sign in right field that will be 1,000 square feet. The plans also include a three-story addition that will contain new clubhouse, restrooms, restaurants, and potentially an upper-level deck. Furthermore, there have been talks of a proposed hotel on the McDonald’s lot, a two-story Captain Morgan Club, and open-air plaza on the west side of the park. There are many pros and cons of the renovation plan. Some thoughts that should be considered are the local businesses – will having more Wrigley restaurants and a hotel take away from local businesses? More importantly, how will the jumbotron affect the rooftops since they bring revenue to the owners and to the city as well? My question to you is what do you think of the renovation and the managerial decisions that face the Wrigley organization? The location of the jumbotron, hotel, and restaurants are important decisions to consider in the overall effect of the renovation. 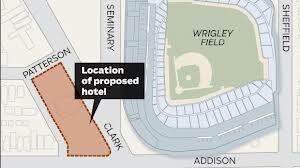 How do you feel about the possibility of the hotel that will be built right by the ballpark – would you forecast that expenditure to be revenue raising or simply wrong for Wrigley? Bidding for Luxury: A New Way to Fly? The allure of flying first class has clearly diminished in recent years, leaving Airlines scrambling for an initiative to maintain their organizational element of luxury. What has become of this growing issue is an interesting concept that will be implemented quite soon. Airlines have begun the transition to auctioning off business class seats, and not in the conventional manner of going to a Kiosk. According to the Wall Street Journal, “Bids for premium seats that otherwise might fly empty begin online weeks in advance and typically close 48 hours before takeoff.” These auctions are also applicable to other seating arrangements that may be more appealing to customers. Essentially, those seated in coach can upgrade to premium (if that option exists on the particular flight), and premium customers can bump themselves up to the elite business class. Plusgrade, the company responsible for designing the auctioning system, allow carriers to determine exactly how they will handle premium seat bidding, and which customers will be given the chance to participate. Rather than let many of these seats go unfilled and thus wasted, airlines are considering organizational efficiency in finding a way to get people to buy in. There is a strong correlation between overall economic certainty and luxurious commodities such as business class seating, and this relationship is evident in the statistics. Figures show a parallel decline in business class purchases and the economy, the former of which has yet to truly recover since the downturn. The auctioning concept, which has yet to reach domestically, represents the quality management idea of reengineering, a portion of breakthrough improvement. The concept is considered radical redesign because it is a complete change of pace for the industry. In a time where most airlines seem to be ignoring the common customer’s needs in an attempt to cut costs, auctioning provides mutual benefits for both parties. Airlines can still charge insane face values for top tier seating, while giving the average customer an opportunity to experience first class. There is also the element of the unknown, and risk associated with an auction, which livens up a usually dull experience. Airlines have taken a cautious approach to implementing auctions for seating, and have used a method quite similar to the Deming Cycle of Plan-Do-Study-Act. Rather than introduce the market to an idea this revolutionary in relation to the industry, many airline companies have done trial periods to gauge the level of consumer interest. After some successful trials in 2012 multiple companies, including El Al a popular Israeli airline, have introduced the concept in full in 2013. I was once lucky enough to fly first class because of an error made by the airline company, and can say for certain that is an amazing experience. Still, the luxury associated with premium travel has declined in recent years, and for many it is frankly unattainable. By offering these unsold seats to others at a potentially discounted rate, it will hopefully introduce a whole new class of people to a whole new class of travel. Netflix is taking a bold move after spending over two years recovering their losses from their last big controversial pricing and programming change. The Netflix CEO Reed Hastings is doing everything possible to avoid another Qwikster disaster. Since their lose of nearly 800,000 users and 75% of it’s value, Netflix has worked it’s way back to the top with over 29.1 million members, surpassing enterprises like HBO. However, Netflix could not have done this without turning back the focus to their users wants and needs. Netflix has done a great deal to reinvent their service, pricing and licensing deals. 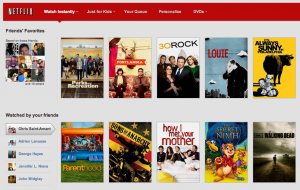 Recently, Netflix has utilized Facebook to create a Netflix Social , where users can link their facebook and Netflix account and view tabs of “what your friends are watching” or “friends favorite”. Netflix also just made a deal with Dreamworks to begin producing another Children’s original animation series. Furthermore, Netflix’s production and release of 15 new episodes of the popular show Arrested Development has also received a lot of praise by Netflix users.. Despite their growth and efforts to reconstruct their service, Netflix has run into a new growing problem. Their current problem is that over 10 million users are not paying for the streaming service Netflix’s CEO is trying to be very cautious about handling the shared user and password issue. Hastings does not want to lose or ban viewers, but instead he wants to keep people positive and excited about Netflix’s service. Analysts insist that Netflix’s profit would exponentially increase if Hasting’s cracked down on the issue. One analyst believes they could be making up to 5% more per subscriber if they fix their current pricing or offer different plans for users. The new plan that will be unveiled will allow four streams for $11.99, while the current pricing of $7.99 for two streams per account will still be available. They expect less than 1% of customers to opt for the new plan, but they hope as their service becomes in bigger demand that users will begin to see the value. Netflix users are vulnerable since the last price and policy change, so Hastings needs to remain very sensitive to the issue in order to sustain their level of expansion and growth in the market. Therefore, Hastings is not interested in making any drastic changes, but slowly implementing different plans with added benefits. Whether you are a current Netflix user or considering a subscription to Netflix, what plan or price increasewould drive you away? What added benefits or licensing deals would make you keep your subscription?